Cervical laminoplasty for the treatment of ossification of the posterior longitudinal ligament was developed and refined in Japan during the 1970s. Since that time, various cervical laminoplasty techniques have been further analyzed and modified, and have proven to be clinically successful. Until now cervical laminoplasty has been practiced primarily in Japan, and surgeons outside Japan had only limited access to the detailed English literature needed to make full use of the procedures. 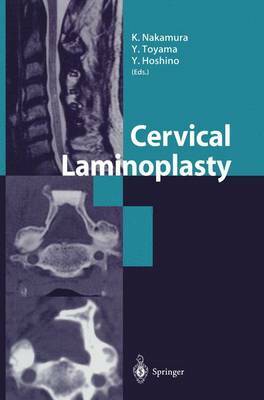 This book fills that gap in English information and provides a detailed, up-to-date guide to performing safe and effective cervical laminoplasty. Drawing on the latest knowledge from Japan, the book covers the history of cervical laminoplasty, surgical anatomy, basic procedures, modified procedures, possible complications, and perspectives on the future of expansive laminoplasty. This volume by leaders in the field is an excellent guide for all surgeons interested in laminoplasty.